Gabe Newell is the co-founder and managing director of Valve. He often has something interesting to say, and the recently lengthy interview with Develop is no exception (seriously, it's worth a read). One of the topics Newell covered jumped out at us: creating the optimal pricing service for each customer. In short, the co-founder says to hell with equality: the industry should charge gamers based on how much fun they are to play with and how they influence the community. Newell explained that some people bring many gamers with them when they join a server while there are people who join a server and cause other gamers to leave. "We should have a way of capturing that," he says. "We should have a way of rewarding the people who are good for our community." This means that a really likable person in the community should get a game for free, because of their past behavior in a different game, while a jerk that annoys everyone should pay full price for a game, and have to pay an extra hundred dollars if they want voice. A more extreme example is how some gamers want to pay for a dollar for items over and over again while others want to run servers and create mods. Newell believes each one of these people should represent a different monetization scheme for the community as a whole. He explains that Valve has started finding high value customers and connecting their Steam accounts to their PayPal accounts. These people aren't just paying for games; they're making money from them: some are being paid as much as $20,000 per week. 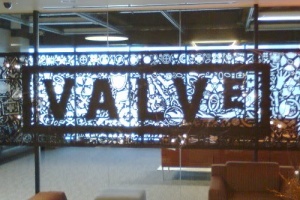 Valve has a unique opportunity in the gaming industry because it has built a platform. Steam is very popular because it gives gamers a lot of what they want. What do you think about an optimal pricing service?